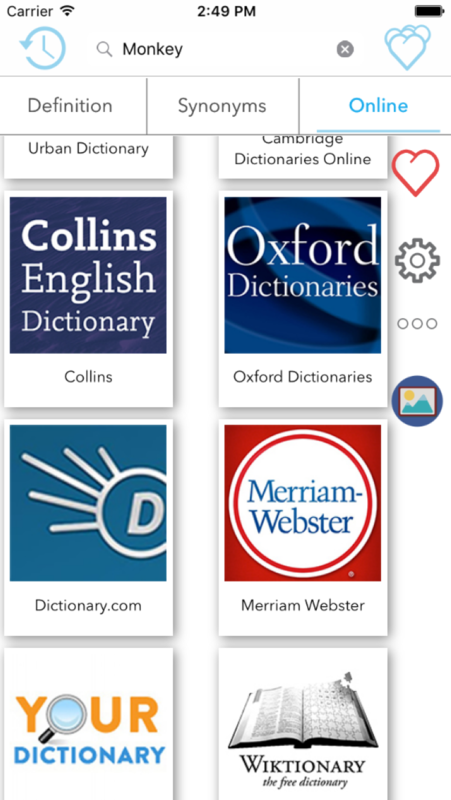 Dict-O-Saurus Rex - a dictionary and thesaurus app. Raaaggggghhh!!! 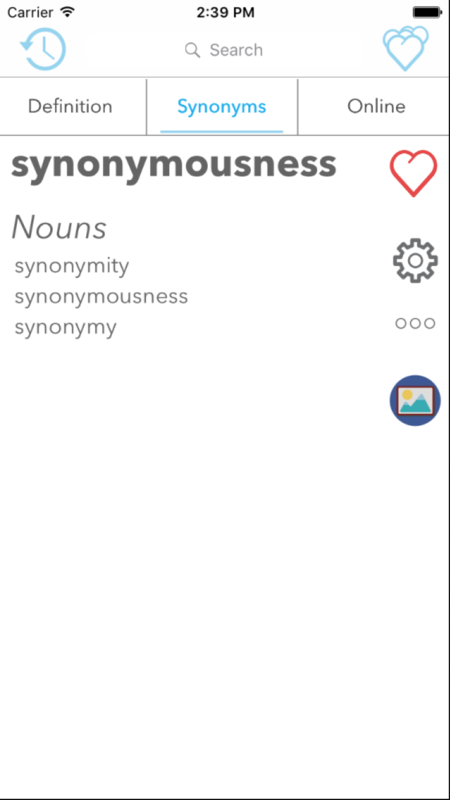 is not a word, but you can use Dict-o-saurus Rex to discover the meanings of hundreds of thousands of real words. 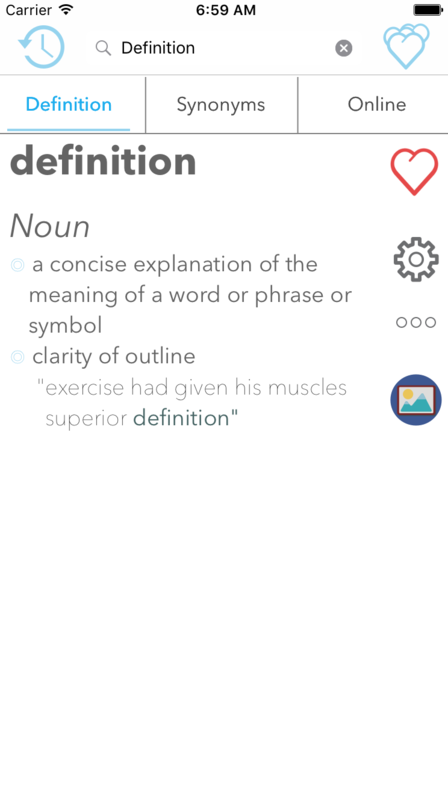 Instantly find the definition you’re looking for with easy to understand, English definitions and examples. Start typing into the search bar and Dicto-saurus will offer you suggestions to help you find the word you’re looking for - which comes in very useful when you are not sure of the spelling! Bring up an inline menu and jump straight to a definition, synonoym or online lookup view by long pressing on your chosen word. – Add words to your favourites. Start typing into the search bar and Dicto-saurus will offer you suggestions to help you find the word you’re looking for - which comes in very useful when you are not sure of the spelling!. Bring up an inline menu and jump straight to a definition, synonoym or online lookup view by long pressing on your chosen word..
Love a word and want to save it forever? No problem. Just tap the red heart button to add it to your favourites, and tap the blue hearts to see all the words you have saved. Dicto-saurus automatically saves any word you search to your word history, which is only ever a tap away. Move sequentially through your word by swiping left and right at any time. 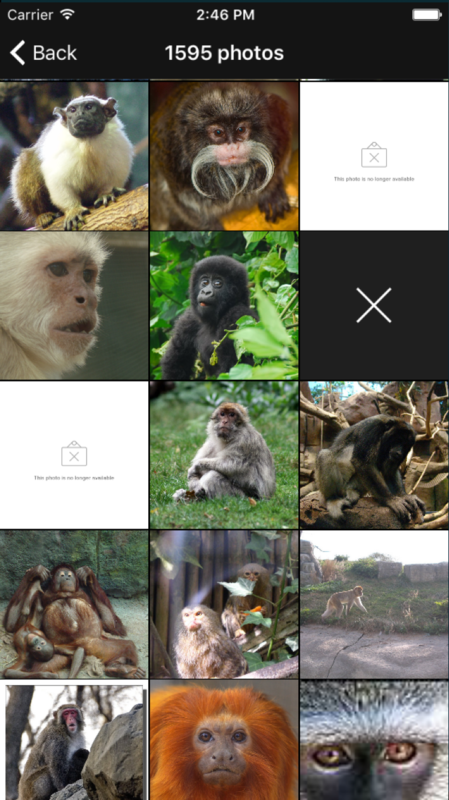 Now using imageNet® to find thousands of images for supported nouns. 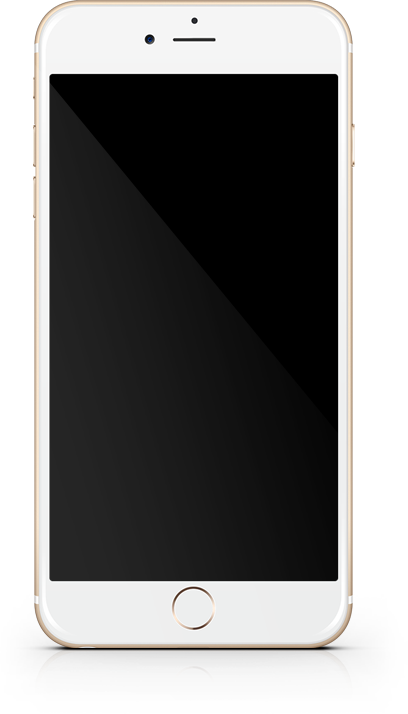 Alter your user experience by changing the brightness of the background, sliding over to night view and increasing or decreasing the font size. Dicto-saurus will also responds to changes in the global font size settings. KFX Tech Ltd was founded early 2010 and is based in the West country, UK. We make beautiful, hand crafted mobile apps for the iOS and Android platforms. We are fond of great design and flowing user-experience and that is what we aim for in our apps. Design, look and feel at its best.